Henry Ford once famously said that customers could have his car in any color they wanted, “so long as it is black.” We’ve come a long way since then thanks to sedans like the 2018 Chevrolet Malibu which offers drivers their choice of multiple standard and custom colors, as well as other exterior upgrades that allow them to build exactly the vehicle they want to turn heads from Aurora to Chicago and beyond. And as exciting as the Malibu’s abundant colors are, the automaker doesn’t stop there when it comes to enticing exterior features. Whether it comes to style, performance, or convenience features, the 2018 Chevrolet Malibu delivers in spades, giving drivers more of what they crave, including stunning exterior colors that reflect individual personality and flair without sacrificing the practical amenities that make the daily drive from Aurora something to look forward to. Want to learn about 2018 Chevrolet Malibu interior design and features?. 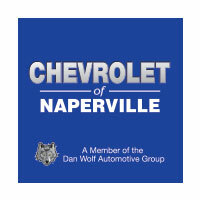 Contact Chevrolet of Naperville at (630) 246-4639 or visit our showroom at 1515 W. Ogden Ave in Naperville, IL to get started and see how easy it is to get the financing you need to take your Malibu home today.